Have you ever considered that your dog could be a lifesaver? If your dog is between 1 and 8 years of age and weighs more than 25kg, you could volunteer as a pet blood donor with the Pet Blood Bank UK. See our Welfare section for more details. Please contact the Dogs Trust on 01895 453 930 to book an appointment. 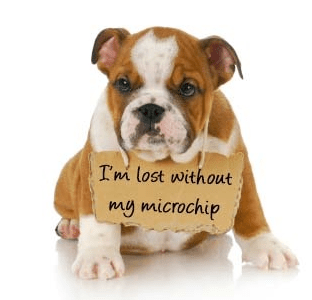 Remember, it will be a legal requirement to microchip your dog from April 2016. There are a few places left on the CReDO training week in Broadstairs, Kent. Choose from a morning puppy session (1 hour) or morning or afternoon sessions for adult dogs (3 hours). Sessions will run from Monday, August 17th to Friday, August 21st inclusive. Learn how to work with your dog to achieve good heel work, food manners, recall and a host of other achievements. Sessions are limited to ten participants and there will be plenty of time for individual and group work and questions. Come and learn from an experienced trainer and share experiences with other dog owners in a friendly, co-operative environment. See Broadstairs Training Week for details. Just back from a fabulous weekend at Chertsey Show. A big thank you to the organisers for making it such a well run and enjoyable event (aided this year by not having torrential rain on the second day). Especial thanks to the announcements made throughout the day reminding owners not to leave their dogs in cars (yes, people still do this even in the baking temperatures that we experienced last weekend), to pick up after their dogs and to keep dogs on leads and under control in the countryside. On the latter, a calf was exhibited that had been mauled by a loose dog. Thankfully recovered but at huge cost to the farmer, never mind the trauma, mental and physical, suffered by the poor calf. Events such as Chertsey, the only proper agricultural show within the M25, attract a range of visitors and are an excellent opportunity to remind dog owners of their responsibilities. Put it in your diary for next year! 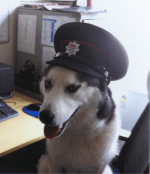 Would Your Dog Survive A Fire? The latest government statistics for accidental fires states that there were 39,600 dwelling fires in Great Britain in 2013-14. The latest PDSA PAW Report cited that 24% of the population owns one or more dogs. Of course, we should all take precautions to avoid a fire starting in the first place, but in the event that it does, a new campaign Smokey Paws is raising funds to ensure that all fire applicances carry pet oxygen masks. You can make a donation on their website or even raise funds for your local fire station to purchase masks. You could make all the difference to a dog surviving the devastation of fire.